Google already shows a warning message when you attempt to download malicious software, and the search giant is now expanding its efforts with the SafeBrowsing initiative to protect you from visiting websites that are flagged for malware. Chrome has been updated to display a new warning message to users visiting a website flagged by Google, and Google Search's ranking signals now feature the ability to automatically identify whether a site has malicious content. Google has also announced that it will disable Google Ads that lead to "sites with unwanted software." The search giant is urging site owners to register with Google's Webmaster Tools, stating that doing so will give site admins the ability to monitor their websites for any malicious content. A new stable release of Firefox has been made available for download by Mozilla. The world’s most popular piece of open source web-browsing software hits version 36 with this new release. Chances are you won't notice the upgrade since everyone uses Google Chrome (cough) but let’s take a look at what’s new anyway. The big key user-facing new feature in Firefox 36 is support for syncing pinned tiles on the New Tab page across desktops. This feature fixes a bug first filed back in 2012. Pinned tiles are kept in sync across desktops (sadly mobile versions of Firefox, including Firefox OS, are excluded) using your Firefox account. It’s a nice touch for those tired of seeing different websites on their Ubuntu laptop, their Fedora workstation, Windows PC, etc. Firefox 36 also introduces support for the HTTP/2 protocol, which “enables a faster, more scalable, and more responsive web.” Recently adopted by Google, it’s hoped that HTTP/2 will replace the HTTP 1.1 protocol in use since 1999. Unlike most upgrades Firefox 36 also has the potential to break compatibility with a number of popular Firefox add-ons. As annoying as this may be it is also necessary. 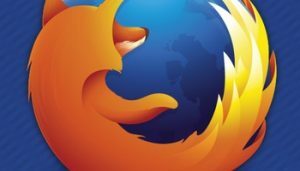 The changes, though minor, are designed to help Mozilla protect Firefox users from malicious or malformed extensions. Making a few tweaks to the types of things add-ons can and can't do at the code level is a key part of doing that. Developers will find some minor new developer options available to them, including paste options, in the Inspector markup view. There’s also the usual smattering of bug fixes — including one that saw users logged out of Facebook after restarting Firefox — and important security updates.